Take a break from Perth with a short trip to Fremantle Prison in Fremantle, about 32 minutes away. 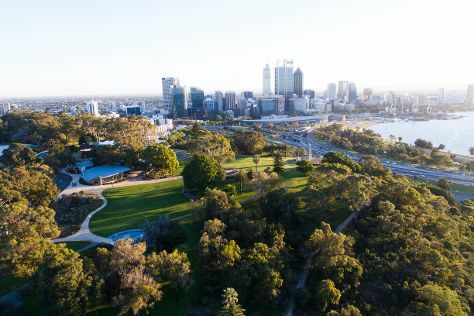 And it doesn't end there: walk around Kings Park & Botanic Garden, steep yourself in history at The Perth Mint, enjoy the sand and surf at Cottesloe Beach, and see the interesting displays at Royal Perth Hospital Museum. For reviews, photos, where to stay, and tourist information, read our Perth itinerary planner. London, UK to Perth is an approximately 20-hour flight. Due to the time zone difference, you'll lose 8 hours traveling from London to Perth. When traveling from London in May, plan for somewhat warmer days in Perth, with highs around 25°C, while nights are about the same with lows around 11°C. 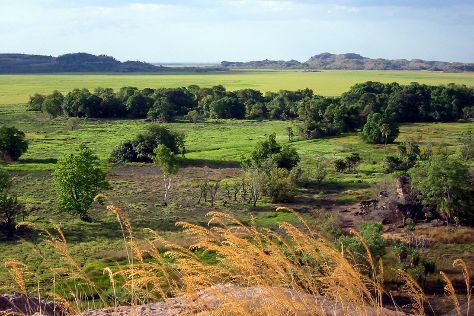 Finish up your sightseeing early on the 29th (Wed) so you can travel to Jabiru (Kakadu National Park). Jabiru is a town in the Northern Territory of Australia. Spend the 31st (Fri) exploring nature at Kakadu National park. Spend the 5th (Wed) exploring nature at Jarrangbarnmi / Koolpin Gorge. And it doesn't end there: explore the ancient world of Ubirr, take in the dramatic natural features at Nourlangie Rock, admire the sheer force of Twin Falls, and look for all kinds of wild species at Yellow Water. To see where to stay, photos, other places to visit, and other tourist information, go to the Jabiru (Kakadu National Park) trip planning app . Do a combination of flight and bus from Perth to Jabiru (Kakadu National Park) in 12 hours. Alternatively, you can do a combination of flight and car; or drive. Traveling from Perth to Jabiru (Kakadu National Park), you'll lose 1 hour due to the time zone difference. Finish your sightseeing early on the 5th (Wed) so you can travel to Uluru-Kata Tjuta National Park. Uluru-Kata Tjuta National Park is known for nature, museums, outdoors, trails, and classes. Your plan includes some of its best attractions: explore the striking landscape at Uluru, take your sightseeing to a higher altitude at Kata Tjuta, explore the activities along Mutitjulu Waterhole, and view the masterpieces at Walkatjara Art. 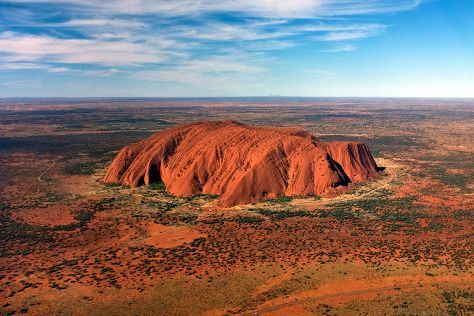 To see traveler tips, maps, reviews, and more tourist information, go to the Uluru-Kata Tjuta National Park attractions planner . You can do a combination of bus and flight from Jabiru (Kakadu National Park) to Uluru-Kata Tjuta National Park in 9.5 hours. Other options are to drive; or do a combination of car and flight. In June, plan for daily highs up to 22°C, and evening lows to 7°C. Wrap up your sightseeing on the 8th (Sat) early enough to travel to Melbourne. Dedicate the 12th (Wed) to wine at some of the top wineries in the area. There's much more to do: admire the natural beauty at Royal Botanic Gardens, admire the masterpieces at National Gallery of Victoria, get lost in a book at State Library of Victoria, and let your taste buds guide you at a local gastronomic tour. For maps, traveler tips, other places to visit, and more tourist information, go to the Melbourne trip planning app . Getting from Uluru-Kata Tjuta National Park to Melbourne by flight takes about 5 hours. Other options: drive. When traveling from Uluru-Kata Tjuta National Park in June, plan for little chillier days in Melbourne, with highs around 16°C, while nights are about the same with lows around 6°C. Finish your sightseeing early on the 15th (Sat) to allow enough time to travel to Sydney. Spend the 18th (Tue) exploring nature at Sydney Harbour National Park. 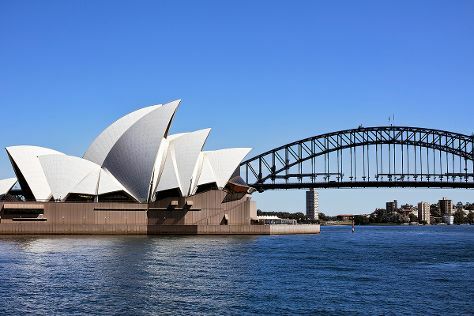 There's lots more to do: see a show at Sydney Opera House, browse the eclectic array of goods at Sydney Fish Market, snap pictures at Sydney Harbour Bridge, and wander the streets of Darling Harbour. To find more things to do, traveler tips, where to stay, and other tourist information, go to the Sydney trip itinerary maker tool . Fly from Melbourne to Sydney in 3.5 hours. Alternatively, you can do a combination of shuttle and flight; or drive. Traveling from Melbourne in June, expect Sydney to be a bit warmer, temps between 21°C and 11°C. Wrap up your sightseeing on the 22nd (Sat) early enough to travel to Blackheath. Get out of town with these interesting Blackheath side-trips: Megalong Creek Estate (in Megalong Valley), Norman Lindsay Gallery & Museum (in Faulconbridge) and Katoomba (Blue Mountains & The Three Sisters). Spend the 27th (Thu) exploring nature at Kanangra-Boyd National Park. Next up on the itinerary: take in the dramatic scenery at Wentworth Falls, take in breathtaking views at Pulpit Rock Lookout, hike along Fortress Rock, and don't miss a visit to Gallery Blackheath. To find more things to do, other places to visit, and other tourist information, you can read our Blackheath trip planner. Drive from Sydney to Blackheath in 2 hours. Expect slightly colder evenings in Blackheath when traveling from Sydney in June, with lows around 7°C. Wrap up your sightseeing on the 28th (Fri) early enough to travel to Fraser Island. Fraser Island is known for nature, wildlife, beaches, outdoors, and historic sites. Your plan includes some of its best attractions: contemplate the waterfront views at Lake McKenzie, don't miss a visit to K'gari, visit a coastal fixture at Sandy Cape Lighthouse, and take a peaceful walk through Central Station Rainforest. To find where to stay, maps, ratings, and other tourist information, you can read our Fraser Island trip planner . Explore your travel options from Blackheath to Fraser Island with the Route module. 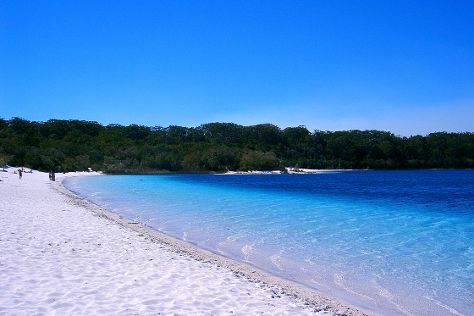 In June, Fraser Island is a bit warmer than Blackheath - with highs of 26°C and lows of 14°C. 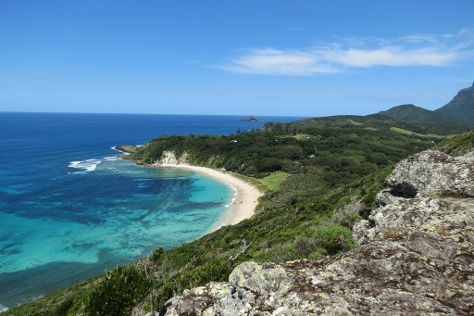 Finish your sightseeing early on the 3rd (Wed) to allow enough time to travel to Lord Howe Island. Lord Howe Island is known for beaches, trails, nature, wildlife, and museums. Your plan includes some of its best attractions: stroll through Ned's Beach, learn more about the world around you at Lord Howe Island Museum, tee off at Lord Howe Island Golf Club, and take your sightseeing to a higher altitude at Mt Gower. To see reviews, more things to do, ratings, and tourist information, read our Lord Howe Island trip maker website . Getting from Fraser Island to Lord Howe Island by combination of car, ferry, and flight takes about 12.5 hours. Wrap up your sightseeing on the 6th (Sat) early enough to travel to Port Douglas. Spend the 7th (Sun) among aquatic life with a scuba or snorkeling tour. Spend the 9th (Tue) spotting exotic species with a safari tour. There's much more to do: admire all the interesting features of Hartley's Crocodile Adventures, enjoy the sand and surf at Four Mile Beach, trot along with a tour on horseback, and see the vivid underwater world at Opal Reef. To find ratings, more things to do, reviews, and tourist information, use the Port Douglas vacation planner. Do a combination of flight and shuttle from Lord Howe Island to Port Douglas in 7.5 hours. In July, daily temperatures in Port Douglas can reach 30°C, while at night they dip to 20°C. Wrap up your sightseeing on the 11th (Thu) early enough to travel to Cape Tribulation. Explore the numerous day-trip ideas around Cape Tribulation: Floravilla Ice Cream Factory (in Daintree), Bloomfield Waterfall (in Bloomfield) and Cow Bay Beach (in Cow Bay). Spend the 15th (Mon) exploring nature at Daintree National Park. There's much more to do: take a peaceful walk through Daintree Rainforest - Cooper Creek Wilderness, tour the pleasant surroundings at Dubuji Boardwalk, enjoy the sand and surf at Thornton Beach, and get a new perspective on nature at Daintree Entomological museum. To find other places to visit, more things to do, traveler tips, and other tourist information, go to the Cape Tribulation travel tool . You can do a combination of car and ferry from Port Douglas to Cape Tribulation in 2 hours. Another option is to take a bus. In July, daily temperatures in Cape Tribulation can reach 30°C, while at night they dip to 20°C. Finish your sightseeing early on the 16th (Tue) to allow enough time to take a bus to Cairns. Venture out of the city with trips to Palm Cove (Palm Cove Beach & Spas & Wellness). Spend the 17th (Wed) among aquatic life with a scuba or snorkeling tour. Spend the 18th (Thu) wandering through the wild on a nature and wildlife tour. There's much more to do: trek along Esplanade Boardwalk, take in nature's colorful creations at Botanical Gardens, admire the sheer force of Josephine Falls, and let the kids burn off some steam at Muddy's Playground. Traveling by bus from Cape Tribulation to Cairns takes 3.5 hours. Alternatively, you can drive. In July in Cairns, expect temperatures between 30°C during the day and 20°C at night. Wrap up your sightseeing by early afternoon on the 23rd (Tue) to allow enough time to travel back home.